Please be advised that the surgery will be closed on the dates listed below from 12.30pm. This is for GP and staff training. To speak to a doctor, please call NHS 111 by dialing 111 from your telephone. In an emergency please call 999. The surgery will open at 8.00am the following day. GP appointment availability has increased by 50%, we offer 1.5 doctor time per day and telephone access at all times. Our opening hours are from 08.00 – 18.30, however, the phone line is closed between 12.30 – 13.30 this is to enable staff handover and training. The surgery remains open during these times and an alternative telephone number is available for emergencies. Morning surgery runs from 9am to 12.00pm, followed by a telephone surgery. The telephone surgery is a good source to gain access to a GP without the need for an actual face to face appointment and are available daily. Please telephone the surgery in order to book your telephone consultation. Afternoon surgery runs from 16.00 to 18.30pm and appointments are available daily as well as afternoon telephone appointments. Our extended hours are offered one Saturday per month 08.00 - 13.00 - appointments are pre-bookable. Please ring the surgery before 11.00, if possible, if you consider you need a home visit. If you can, try to come to the surgery where better facilities are available for examination, investigation and treatment. 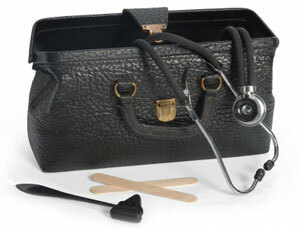 The doctor may telephone you to discuss the problem first, and assess the need for a visit. The need for a visit will be made at the professional discretion of the Doctor. Services provided during a visit will only be for those services that are normally provided at the surgery. The units are open 8am-8pm, 7 days a week, for a wide range of minor injuries, including sprains, strains, broken bones, wound infections, minor burns and minor head injuries. You don’t need an appointment – just walk in.